I really did not want to write this because i have been an ardent supporter of forum and its initiatives but i guess sometimes we'll have to take a stand for what be believe in. Today, You removed my signature and updated my profile without my permission, which amounts to gagging and is disrespectful towards a fellow member. You could have asked me to edit it out but you chose to do it yourself and I do not appreciate it. Forcible migration from discuss to quest is the thing that disappointed me the most. I thought the migration would be natural over a period but the sudden decision to make discuss forum as "Read only" amounts to gagging and is again disrespectful towards the members of the community. What about the inbox messages, How do we retrieve it? Quest has security issues. I dint bring it up earlier because I thought it would bring bad reputation to this wonderful platform. But, the forcible migration has compelled me to speak out the truth so that people can make an informed choice. I have attached the images below. 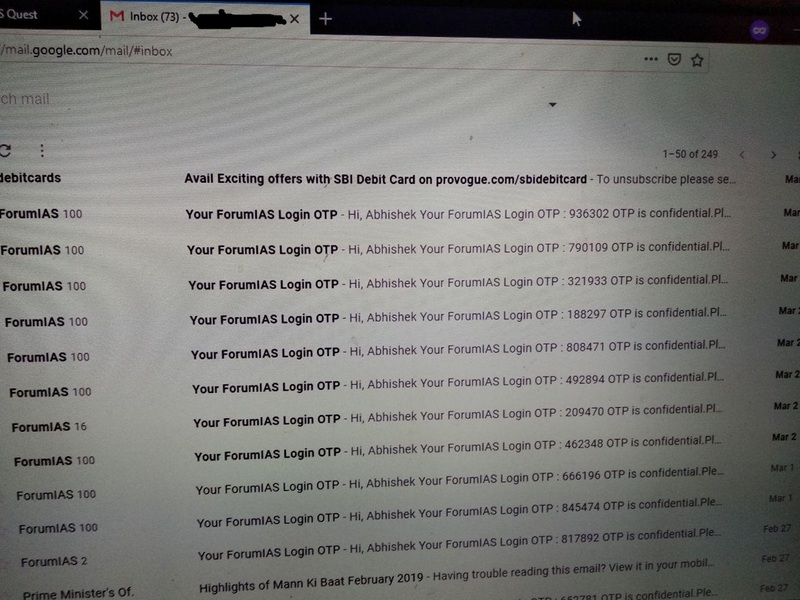 There's a proof of hundreds of OTPs sent on both email and Phone on march 1 and 2 2019. I know that you added "Recaptcha" feature to prevent it from happening again, but there was "no explanation" given about why it happened in the first place? I have no idea about how this happened and why this happened. I asked the same to the people and forum and did not find any explanation about it. If someone can change my registered email without my notice, then there's definitely a security issue. Anyway, I had plans to stay on discuss for the above mentioned reasons but since that is read only, guess it's time to bid adieu to the forum. I would not like to engage further on this issue and will not be responding to any communication from your side. I am migrating your thread to Website and Support Issues and Issue Clarifications there. This will prevent creating sensational threads. Rest assured your issue will be taken care of. Please post it here, so that we have it in one place. @pizzza i agree with @root here , we all know how valueable member you are . And you very well know we support uou in qll ways we can . But the thing is that we need to set rules and have a clear policy as that will define how the new forum will be in future. Quest was made in order to help aspirants and take care of evils like piracy , choaching wala promotions , trolling etc. I hope you understand this and give quest a chance . You and other old genuine members are what make up Forumias community . If some posts are unread, they show on left top side bar. But when clicked on that, it doesn't take me to the unread posts, it instead opens the whole home page. Kindly look into it. We have the Categorisation already in place. It will , however kick in after 90 days. 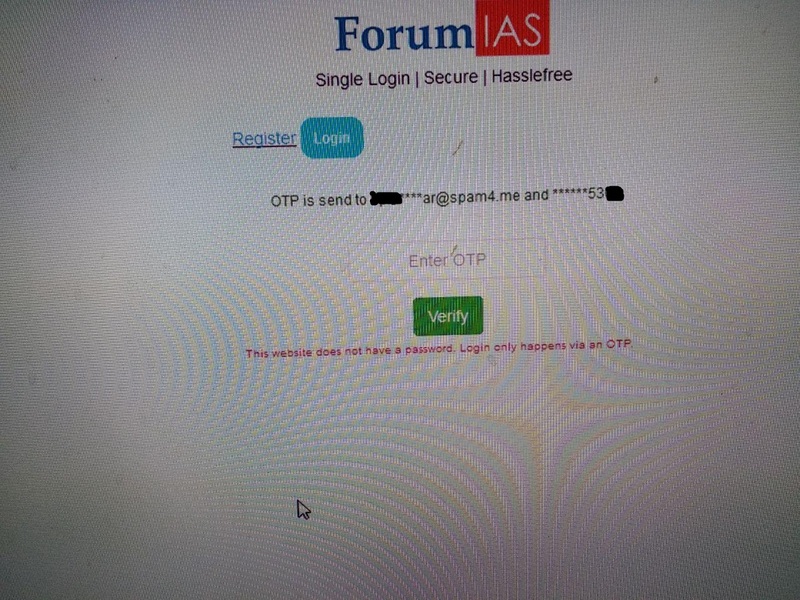 My god....I do not know who does the designing part of forum websites .. I find these websites mind blogging... The vast amount of info in 1st only 1st page of say new courses page of academy makes me sleep. @pizzza This is some serious stuff. Please look at the security issues. And I totally agree that this was an undemocratic decision which was frustrating and disappointing. We've been here for 3 long years, I've met good friends ( shoutout to itaintme phagocyte mystery101 and a special friend too) over here, wasn't that data ours to consent to being made unavailable? Who are you to decide what to salvage from the threads? Hamein bakar threads ya night birds chahiye hon to? This isn't done. Dear @Acidpop Please understand that in no way we are trying to impose it suddenly. We know that thousands of people are angry because of this. We are only trying to clear the kind of conversations that happen in the Forum. P.S. You have full rights to dissent and disagree, and we promise you that every single opinion that you have counts. Dear @GaneshGaitonde There is no hidden motive behind this. Can you suggest what could be the possible hidden motive doing it during results? So that more people join the new platform?